As I may have mentioned before, I was a founder and chair of our synagogue’s Young Families group over the last several years. Last year we had a big Shavuot event with PJ Library where we read stories, made butter, had ice cream and waited two hours for a goat to arrive (don’t get me started). This year we wanted to do something low-key but also educational and fun. 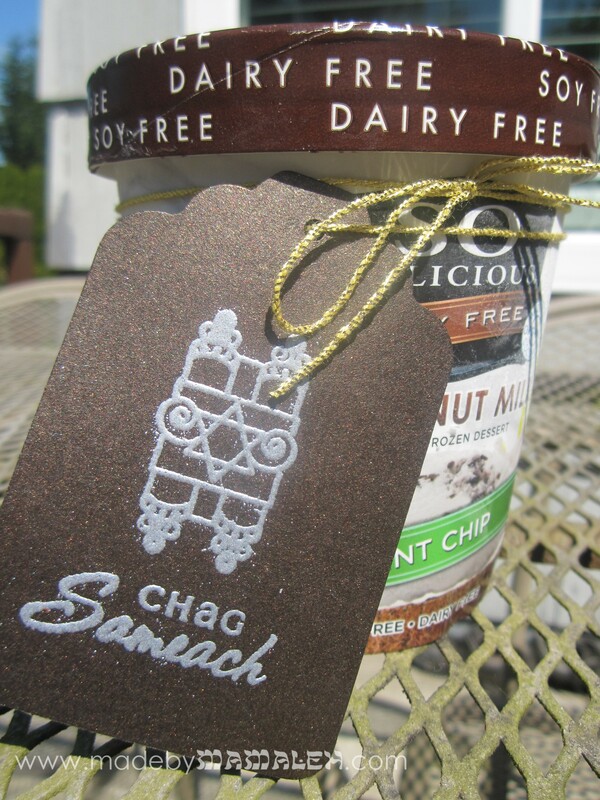 Happy Shavuot to the Lactose Intolerant! Chag Sameach! 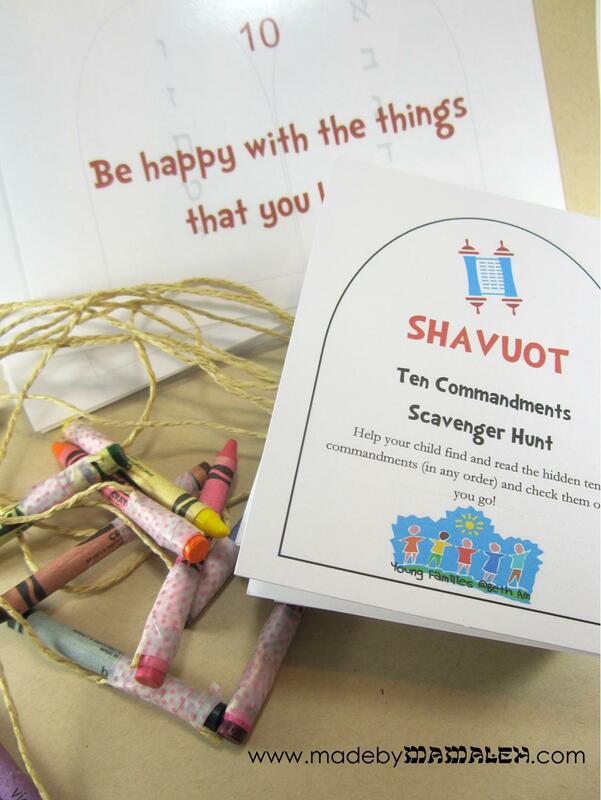 I thought I’d whip up a cute little tag in honor of Shavuot which begins Saturday night at sunset. Shavuot commemorates the giving of the Torah to Moses at Mt. Sinai. Among all of the customs associated with the holiday, it is traditional to eat dairy foods which isn’t really working for me now that I am lactose intolerant. So, I thought even better, I’d attach my tag to a nice pint of coconut milk ice cream. 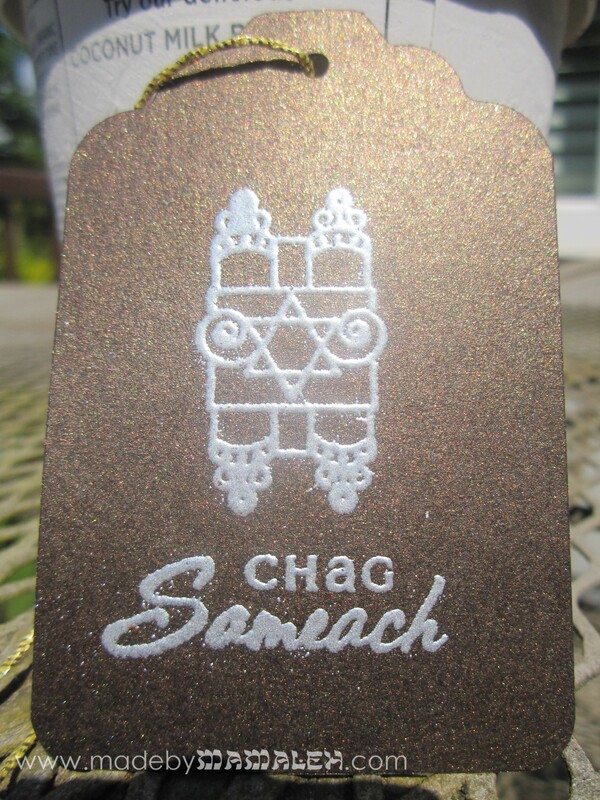 For the tag, I used some Stardream paper (sorry, I don’t remember the color, think it’s the bronze), punched out the tag using a punch, stamped the Torah and sentiment using a watermark pad (the Torah is from Paper Trey Ink Mazel Tov Stamp Set – one of the best Jewish sets out there; “Chag Sameach” (which translates to “joyous festival!”) sentiment from the Paper Trey Mazel Tov Additions set). After stamping them, I embossed them using some pearl embossing powder. I love how the combo turned out! Are you doing anything for Shavuot this lovely Memorial Day weekend? Chag Sameach!